It has been quite a while since my last "On Wednesdays we wear Pink" segment - but I'm back! 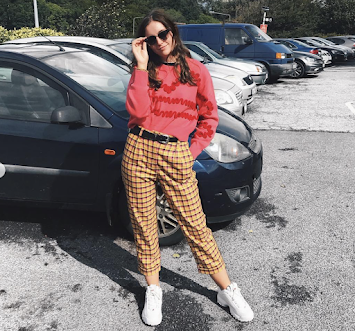 Today I've been trawling through oceans of clothes from Topshop and River Island to finally find out who has the TOP pink picks! We'll start with Topshop! 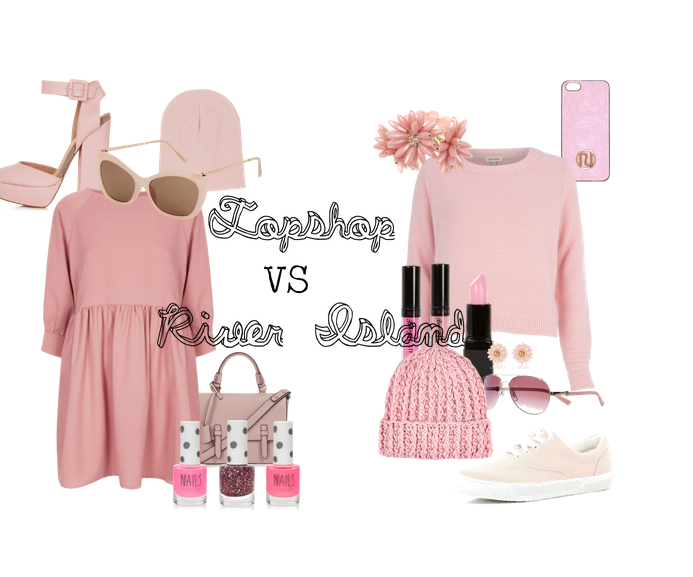 It was definitely harder to find a lot of pink on Topshop than River Island - but I love what I found! The dress (featured above left), has such an elegant shape! Remember, you don't have to wear fitted clothes to still look ladylike! I love the length of the sleeves and the shoulder seams! Topshop also had a great selection of Nail Polish too. I'm definitely not the best at doing my nails, but I still love this nail varnish, especially the retro look of the bottles! The shoes are gorgeous! They might be a tad high, but sometimes it hurts to look good! I love the strap and buckle around the ankle. These aren't actually peep toes, the photo just got cropped off! The sunglasses are really retro, I love them!! Definitely very classy - a great compliment to the satchel above! Overall I LOVE these looks, but I'm not so convinced that Topshop is the place to go for all your perfect pinks! There was looooaaads to choose from at River Island! I really love the casual look I've put together above. Plimsolls are the rage right now (so you better be wearing pink ones on Wednesday)! These van look-a-likes are a great way to catch the trend! 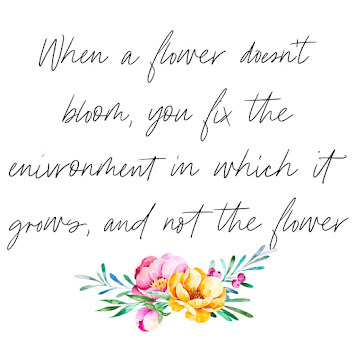 I really love the floral accessories I've featured here! Florals are all in this season, so these pieces are perfect for the occasion! Better still, they're very versatile so you can switch them between outfits! As you can see, I'm loving my woolen knits! These ones are perfect for the (not so) beautiful Irish weather, and hey, if it stays like this they'll probably take you straight through Summer too! River Island have loooaaads of lipgloss and lipsticks, you can even find the perfect shades to match your outfit! Overall, River Island have a larger stock of pink clothes, while Topshop still manages to maintain a high standard to keep up! I can't pick a favourite, what's yours?